Techniques by Trish: Momo's Birthday Blog Hop Bash!!! I'm so glad that you ALL have joined us today to celebrate Momo's birthday with a Birthday Blog Hop Bash!! I had the opportunity this week to meet THE one and only Momo and treat her to lunch for her birthday and I honestly had the absolute GREATEST TIME! She has seriously been a crafting idol of mine ever since I began stalking blogs in December of '09, so to meet her was Amazing! I am so incredibly honored to be part of this blog hop and not just because it is for Momo's Birthday but because I can honestly say that some of my closest blogging friends are part of this and people who's work inspire me day to day! 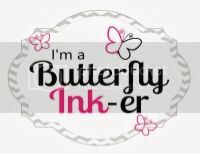 I mean you have the all around diva Momo, the scrapbooking queen Lauren, the fabulous Scrappy Mom's Mel & Tammy, my blogging besties Molly & Cristi, my secret accomplices Julie & Sarah ;), and the list just goes on and on and on!!! All these ladies blogs are stalked out on an hourly basis by me! LOL So honestly, this might be my favorite hop thus far because of group of ladies that are participating in it! I used the Sweethearts Cartridge for the Car and Once Upon a Princess for the balloons! Wanna know whats for blog candy?!?!?! I felt like this was just right for this Blog Hops theme! Ok So here's what you need to do to enter.....Leave me a comment on this post with what your all time favorite birthday gift was ever. Could of been when you were 3,12,16 at any age...just tell me what your favorite gift was. Only one comment per person and you MUST leave me your email address with your comment!! If you forget to add it, just delete your original comment and re-comment including your email address. You have until Sunday, October 10th, at midnight eastern time to enter! A winner will be announced on Monday morning/afternoon-ish! Also, here is a List of ALL of the fabulous ladies participating today! Be sure to visit them all and see their amazing projects and I'm sure some of them will have blog candy as well!! What a fun birthday invitation! It's great how you tailored it to your sister. Thanks for sharing. My favorite birthday gift was from my DH when he took me to Disneyland to celebrate my birthday in the happiest place on earth. This was years ago but it's something I still remember. Great memories! LMBO...love that pic...I honestly cant tell who is you and who is your sister...you look like twins!!! Okay...your invite is soooooooooo stinkin adorable!!! I cant even believe how cute it is...everything about it is adorable!!!! My favorite birthday gift....my Mom gave me a piano for my 10th and it is so very special to me cause it was the last gift she gave me!!!! This will show my age BUT, my fave bday gift was a set of New Kids On The Block tickets when I was (maybe?) 12yrs old. I will never forget that concert! My favorite "gift" wasn't anything that was bought. When I was pregnant with my first child I felt him move for the very first time on my birthday. That was the most special thing ever. my favorite gift was this clown doll that sang. i got it from our good neighbor when i was smaller.. it was really cute.. sad to say it broke.. wish i still had it.. thanks for sharing your projects..
Great project - thanks for sharing and I love the pic of your sister! My favorite present was in 2009 when my husband bought me my Expression. I didn't think I'd use it but HE knew I'd enjoy it and he was right! Awesome job on the invite...so CREATIVE! i love it!!! 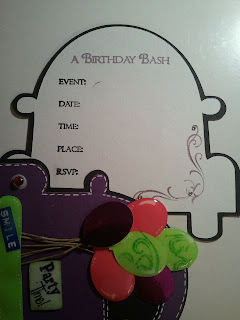 Love the invite and the "picture with attitude"
My best b-day gift was when I hubby bought me diamond earrings. Great project! So sad it ends here this was an amazing blog hop! I enjoyed it. My favorite birthday gift: handmade card from my son = priceless! Super cute invitation. My favorite birthday gift was a teddy bear my mom give to me whe I was 10 years old, thanks. So cute. My favorite birthday gift was hope chest my husband bought me the year before we got married. I best gift is a digital camera it is what started me scrapbooking and and now making cards! Fun invitation. My most fondest birthday gift was from my grandma when I was a little girl and I wanted a doll called Baby Alive, I didn't have a great childhood and my grandma was always trying to make me feel special, so when grandma got me my Baby Alive I loved that little doll like she was real. When times became rough I used to dream that it was just me and Baby Alive. Memories of my grandparents helped me through some hard times. I love your card Trish!! Very clever and unique. My favorite birthday present was giving birth to my son Lukas. He was born 12 days before my birthday so we share the same month. what a COOL way to change up the car from the sweethearts cartridge! I really like the balloons. Very cute card! My favorite birthday gift from childhood was my new 10 speed!! Thanks for the chance to win! My favorite birthday gift was for my 5th birthday. My mom got me Barbies and tons of clothes and accessories to go with them. It was a huge thing. I remember it like it was yesterday. Your care is too cute! Reminds me of my aunts car growing up! Awesome! Love the card, it is just so cute! I LOVE IT! Your hair color is whatever is easiest for you, I hate to go to the salon every six weeks! My favorite gift=I am 50 and for my birthday, my sweet hubby went to my locally owned favorite scrapbook store and talked his way into getting the owner into making me a card and then he purchased a $200.00 gift certificate to the same WONDERFUL store! Love the card - it's awesome! Really love the picture of your sister and her friend though! How cute! My favorite bday gift ever was a crystal prism my mom gave me when I was 15. It hung in my bedroom window until I moved out of my parents house. It would cast rainbows across my room whether in sunlight or moonlight - it just made me smile everytime! Now today (just shy of 20 yrs later) I still have it and it still casts rainbows on my life in both sun and moonlight - only I keep it hanging on my rearview mirror in my car - every car I've had since then (including the one I drive now) has adorned this crystal prism! Thanks for the opportunity to win, to remember such a great gift and how it makes me smile, and the inspiration to create! You ladies have a wonderful weekend and thanks so much for all of you hard work. My favourite gift...a surprise party my husband threw for me and then surprised me with a tennis bracelet!! This is so cute! I love the little "bumper stickers" on the back of the card. (It is also super scary when younger siblings are allowed to drive.) :) My most favorite birthday present ever was actually this year. My sweet husband bought me diamond earrings to celebrate my 30th! I wasn't super excited about turning 30, but diamonds sure helped. :) LOL! I hope you get some rest and your husband starts to feel better SOON! Take care! Great invite! My favorite was when I had my first surprise party thrown for me!! I love your card! It is so cute. Well, I already told abt my most memorable present as a child. But This year, my dh gave me the gypsy fr my bday. Love it! It has really enabled me to utilize my Expression. My favorite birthday gifts were the year my family took me shopping for scrapbooking goodies. We had such a blast shopping that year. cute cute card love it. One of my favorite birthdays was the first year my husband and i were dating and he bought me a icecream birthday cake. I LOVED IT and thought it was so sweet of him. He's been spoiling me every since then. Thanks for sharing your projects and pictures,real cute shot! Favorite Birtdat gift aoud be the year my hubby asked me to marry him on my birthday, We are still together 40 years later! Thanks for sharing your projects on the blog-hop! My favorite birthday gift was my diamond earrings from my mom. They were my very first pair! The picture of you and your sister is so cute! My favorite birthday gift was a surprise visit from my sister from out of state. Thanks for the chance to win! What a cute invitation! My favorite birthday gift was probably in '99 when I got my car for my 17th birthday...a '92 Ford Probe! Very cute project! My fav bday gift ever was the Flip video camera that I got last year from hubby! I love it! Great idea for a party invite and I loved all the different techniques you used. Best present ever was when I was 16 and my Mom took my BFF and I to NYC for the weekend to see Les Mis on Broadway. I like all my gifts. i always love my cricut carts. The card is absolutely darling. thanks for sharing. Your birthday invite is awesome!! My favorite birthday gift was a bunch of gingerbread stuff that my hubby bought for me when we first started dating.. Thanks for sharing.. Thank you for sharing your project and the awesome idea. Congrats on getting to see Momo in person. My favorite birthday present was when my hubby took me to Lake Tahoe for my 25th birthday! We had a blast! 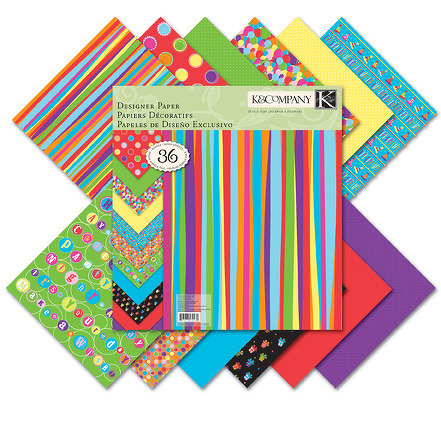 Lovin' the bday candle border and papers! Thanks so much for the chance to win!! I love your project - what a treasure!! My favorite gift is anything scrapbooky to feed by passion. Thanks for sharing and Happy B-Day to Momo! Super ideas! Love your work. Thank you for sharing. This is an EASY one! My favorite birthday present ever would have to be my CRICUT! I got it on my 25th birthday from (at the time) fiance (now husband)! Isn't he the best?! My favorite gift was sky diving with my dad for my 16th birthday. That's something that only him and I were able to experience, and I love that! My most favorite gift would have to be the ring my husband gave me on my birthday when we were dating. He called it the "If you touch her I will kick your @$$ ring." Thanx for having this blog hop and a big Happy Birthday to Momo. That card is amazing! Great Job!! My favorite birthday gift of all time was my carrie underwood tickets my husband suprised me with!! My favorite birthday gift was my son! He came a couple of days after my 21st birthday!! How special!! Such a GREAT idea for an invite!! Your work is awesome!! Thanks for sharing. My best birthday memory is a couple years ago my hubby got me organizers for my craft stuff!! I was sooo excited!! My favorite gift is from when I turned 13. I got a hot pink Mongoose bicycle. My favorite gift was a pearl necklace from my daughter. We wear pearls in my Sorority and she is now one of my sisters. How special is that! Your invitation is just darling and looks so appropriate for a teen. Thanks for sharing and the opportunity to win. thanks for sharing, i love this project!!! my fav birthday gift was to go see my BFF in WA! had a blast, and thats where im headed again this year!!! Love the car invitation - awesome! My favorite birthday gift ever was my baby bug a few years back! Such an adorable card. It can used so many different ways. Thanks for the inspiration. MY HUBBY FLEW MY MOM OUT FROM PHILLY TO SAN DEIGO AND SURPRISED ME FOR BDAY WEEKEND....I AM STILL SHOCKED AND IT WAS 5 YEARS AGO...(HE ALSO DID IT AGAIN FOR AN ANNIVERSAY).. Very, very cute invitations! I think my all-time favorite birthday gift has to be my Cricut machine from my husband this year ;) Honestly, I don't think he knew what he was getting into when he bought it for me, but I am super excited to start making cards and decorations!! Thanks for the giveaway and happy birthday Momo! Aww that is so cute! I love the ballons on the car. My favorite birthday gift was for my 18th birthday my mom took me and my best friend to go watch chipendales in Vegas :) It was a lot of fun to watch!!! Very nice job on the invite! Glad you had a good time with Momo. My favorite Birthday present was my Cricut Expression! I think your hair looks great both ways but always prefer natural. Thank You for being in the hop and for a chance to win great papers...always can use more. I love it. That is too cute. My favorite b-day was my 16. I had youth group at night, but my dad was the youth group leader and he let me bring pizza for a pizza party. The during the day at school I was sent flower and balloons to the point it filled the school office. Really cute invitation. I love the colors. Favorite birthday gift was my Cricut just last year. As far as the hair is concerned, it's almost winter (I live in FL, too, so we know that's kind of a joke) so I'd leave it dark and highlight again in the spring. It looks good either way. 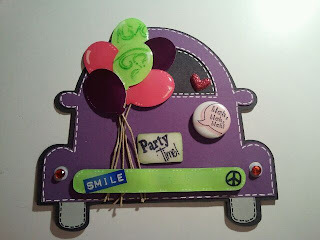 I love the car invite it is super cute!! My favorite Birthday gift ever was the year my husband forgot and told me to get whatever I wanted so I did....all month long (He has never forgotten since) LOL I got lots and lots of great stuff!! WOW, this project is AWESOME!!! I LOVE LOVE LOVE it!! Great job Tricia!! Wow!! I love your project, it is beautiful. It is very creative!! Thanks for showing us your talent. I really like the car invitation. Cute, Cute. My favorite birthday is when we purchase windows for our porch and then my husband told me it is now my scrapbooking room. I just love it. My favorite birthday gift was my Expression that I got as an early present this year. I love your card I think I may need to still this idea I love it it would be great for a sweet 16 driver. I got my first banana seat bike I think I was 10 0r 12yrs I loved that bike I'll never forget it. your project is cute and you and your sister- adorable! My favorite bday was when all the boys turned off the cellphones, computers and house phones and sat down and watched a movie with me! We ate popcorn and just enjoyed each other! favorite all time gift was 3 yrs ago when I found out I was pregnant with my son! What a gift that was!! Holy Adorable Invite Batman!!! I just LOVE it!!! Adorable invitation.. love it. thanks for sharing. SO CUTE!!!!! just adorable!!! Thanks for the chance to win. Hope Momo has a happy and blessed birthday!! love the hair in the photo! That invite is so awesome! I dont remember what birthday it was, but im pretty sure it was my 22nd, my husband got me a book. it was sweet because he actually listened to me and got me something that I really wanted! I love the invitation is gorgeous!! I love the shiny balloons. My favorite birthday gift ever was my beloved gypsy!!! I love it so much!! TFS!! That is the cutes use of that car cut. It is so clever. I really love it. My favorite gift was my digital camers. I always procrastinated when it came to developing pics. (sometimes I would have 20 or 30 rolls) Now I can take all I want , download and print what I want when I want it. Trish, I do have to say, the line up was great, and everyone did a fantastic job... I had a wonderful time! I would have to say my favorite gift for my B-day was getting the Create a Critter cart..love it! Thanks so much for giving us the opportunity to win! My favorite birthday gift? A pair of Gibson Girl books dating to 1910 that had been in the family for years that my Daddy gave me, a very special priceless gift. Thanks for the chance to win. Love the car invitation. My favorite B-Day gift was a red bicylce when I was 5. I rode for hours on that thing, with no training wheels. Thanks for all that you do to inspire us all. 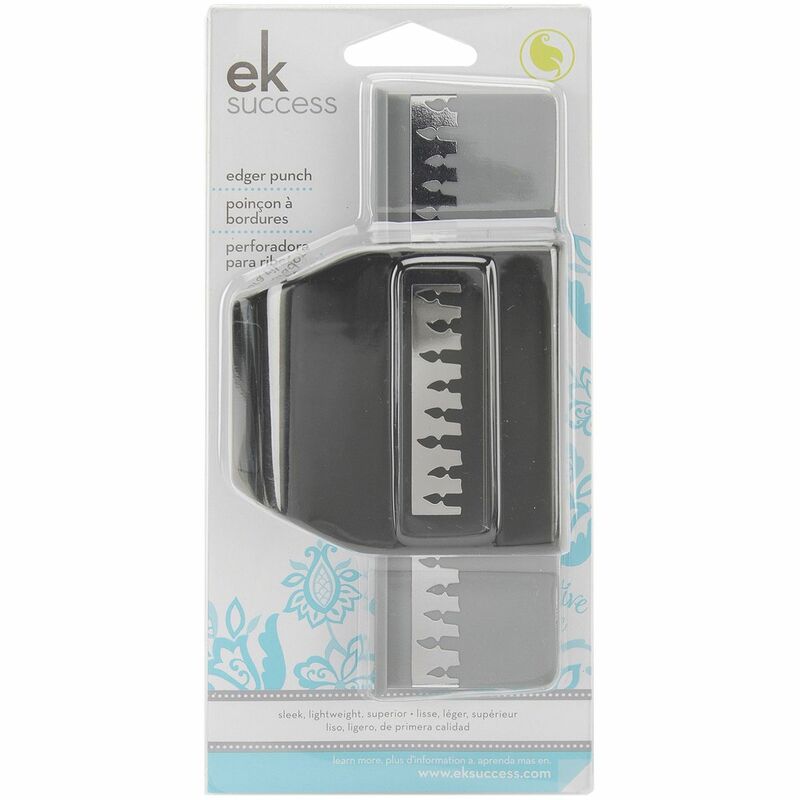 wow, incredible blog, so glad I checked it out, love your invite and love the blog candy, i absolutely love anything k and co. and I love ek punches too!! OH I wish I could craft like you.. Your card is absolutely amazing!!! I am new to my cricut but I am learning everyday. This hop has been the best one ever, I have met some of the most wonderful crafters around. The talent is just amazing. Thanks for sharing your creations with us. I will follow your blog for more inspiration. My favorite Birthday gift was a plane ticket from my sister to meet her first grand child of her only child Charles. This will reamain my all time favorite gift as Charles passed away 6 months later. I am thankful for her gift as I have many memories in pictures and my herart seeing him as a dad. Wow your party invitation is adorable, I love it. So talented. My favorite birthday present I think was from a couple of years ago my son made me a wonderful steak and grilled shrimp dinner. It was one of the first times he ever cooked for me and it was delish! My favorite birthday gift was a trip to DC with my boyfriend at the time. We had only been dating a few months, but he wanted to take me somewhere i'd never been, and surprised me with a full trip to DC for the weekend (monuments, museums, dinners, the works!) I'll never forget it! My favorite birthday present was the game "Mousetrap". I had to be around 6 or 7 and my bff Tammy gave it to me. We played for hours wtih her brother afterwards. Thanks for your blog, I've been a follower and love to see your ideas! My most favorite B-day gift, was for my 9th birthday! I got a bright, banana yellow, two wheeler! I love your card. My all-time favorite gift was the birth of my first grandchild--What an awesome gift!! Adorable card and great blog candy. My fave gift is when my husband gives me American money for me to shop with when we go Erie, Pa.
My fave gift was an electric drum pad for my 11th b-day. If you hadn't mentioned you used to change her diapers I would have thought you two were twins! Cute card... TFS! great card! thanks for sharing. my fav gift ever was the Cuttlebug my hubby got me for my bday this year (sept 30). thanks for the chance. Loved your invites very cute!!! They best gift was when i was 3 my giant size pink bunny!! I still have him 27 years later!! Man thats hard.. my altime fave bday gift?? hmmm.. I don't think i have one... OHHHH WAIT!!! my fave gift was when my mom and sister drove two hours to get to my doorstep and surprise me. stay natural it looks very pretty. SUPER cute picture Trish!!! Love your invite!!!! Trish your invite is way cute!! And I love the pic! My favorite memory of my birthday would have to be the year my dad came to my front door and said he wanted to give me a special present. A beautiful Opal necklace. Love the invites!! Too cute. My favorite birthday gift ever was when I got my own room!! I was like 9 years old and it was a huge deal!! Very cute invites. My favorite birthday gift was a necklace that my husband gave me when we were dating. I had been wanting it for a long time and he surpised me with it on my birthday after driving through a snow storm to be with me on college break. My favorite birthday gift was when I was about 10 and I got a Tony Doll. You could give her a Tony permanent for her hair and I loved her and still think about her today and I am many decades older now. Very cute invite!! Hope your sister has a great birthday!! best present ever... Having my daughter say "Happy Birthday Mommy" for the first time last year couldn't ask for a better gift!!! Great card! 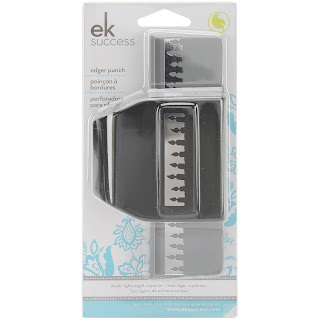 My favorite birthday present would have to be a gift card to my favorite scrapbooking store! Love the card!! My favorite Birthday present was my puppy when I was younger. I loved that I had a pet of my own to take care of. It's amazing how birthdays change over the years...you used to be super excited and have a wish list going. Now you're just happy you made it though another year!! LOL!! PS: THANKS TO YOU AND YOUR HUSBAND FOR HIS DEDICATION AND SERVICE!! My favorite birthday gift was a Tammy doll. My aunts used to make her clothes for me. I am 58 so i don't know if you would remember the Tammy. She was a little bit bigger than the Barbie dolls.I like your hair the color it is now but i am partial to blonde color. I always had it frosted blonde for years.But now its its natural color i keep hoping the gray will start in soon. My favorite birthday gift was at 10 years old, my bike, it was my BFF!!!! I love your blog, and the invites are so very cute. Your hair color is very pretty but hey a change is good, blonde, or even burgundy would good pretty on you. What a great invitation. My favourite birthday gift had to be my trip to Jamaica, we had such a blast. Very cute invite!!! I love the birthday balloons on the back of the car! Very cute card! I don't know what my favorite bd gift is. Last years was pretty good. I got a rolling tote and a bunch of scrappy goodies! Very cute! My favorite birthday present was diamond earrings for my 16th from my parents. Since my DH and I got married, and then had kids, we've been making one big purchase a year and counting it towards our birthdays (10/21 and 10/24) and Christmas. Not very exciting, but it's practical. Thanks for a chance to win! Your blog is awesome. I can't wait to look at everything. Love the invitation you made. What a sweet sister you are. My favorite was my 35th. My husband & I took a trip to the NC Mountains. We had a ball. The invite is adorable! I love that idea. My favorite birthday gift was this year's when my DH and kids each created (glazed) a teacup and saucer for me. I have a set of 4 beautiful and different teacups that represent me in a way they each saw me. My set is priceless! That was a really cute car invitation for your sister. My favorite birthday gift was from my DH and it was a Cricut Expression. Yeah! Your car is SO groovy! I really like it. Concerning the birthday gift, I have to say that mine have been riddled with what some may consider bad memories. I say they are blessing in disguise. DEEP DISGUISE. My best gift was when I turned 16 and my dad got out of the hospital and was able to come home. super creative card! ok, my favorite bd was when I turned 35, because I almost didn't! What an awesome car card! My favorite bday present is a pair of earings my husband gave me a couple years back. I wear them alot. TFS. TFTCTW. What a great looking invitation for a young lady on her birthday! Your hair looks adorable(some people look great no matter the hair color)! My favorite birthday gift--a hair dryer on my 16th birthday. I still have it 43 years later! It is special because it is the only birthday gift I received from my parents! I love your invites! They are so cute! My favorite birthday gift was a trip to Disney Worlrd! My birthday is 2 days after Christmas too so we were there for that also! I love, love your invites they are too stinking cute!! My favorite birthday memory was my 16th birthday, I got my very first car, I was so excited!! Another new blog for me today and I'm luvin' yours!! The car is soo cute! Love the blog candy! Thanks for the chance! my son gave an angel figurine when he was in pre-school and I still have it. I absolutely love this card!! I love all the personality that you put into it! My favorite birthday present was amethyst necklace that my Husband got me for my 19th birthday. :) It is still my favorite piece of jewelry. This invitation is so super cute....I LOVE it! My favorite b-day present was a bike I got for my 8th or 9th birthday. I had been wishing for it and was so excited when my grandparents brought it home. Thanks for the chance to win. K and Company is my favorite paper brand. my favorite birthday gift was a being able to celbrate it with my first grandson there. My favorite gift was a Donny and Marie record (from 1976). I loved your project though! really cute and creative!!! Very cute invitation! My favorite birthday gift was my Cricut Expression! I took all the money and gift cards I got and put enough of my own money with it to buy my Expression... and things have never been the same since! LOVED your card and the colors you used are great.My favoritte Birthday gift was a few years ago when i got my cricut. Your sister is gonna love that invite! Is her birthday card like that, too? Very cute! Well, I already said that marrying my hubby on my birthday 37 yrs ago is my favorite Bday present. So, I guess my next favorite was on our 20th anniversary, we went on a 7 day cruise to the Bahamas. And on my birthday, my husband presented me with a beautiful diamond wedding set, got on his knee at dinner (dessert time) and asked me to marry him all over again!! The beautiful chocolate cake was then rolled over to our table with a violinist, the ring was presented on top of the chocolate cake, and everyone in the diningroom sang happy birthday! I cried like a baby! I can't tell you how many pictures were taken! We have a wonderful photo album keepsake of the whole event! He's the best!! What a cute birthday invitation! My favorite birthday present was a cruise to Key West and Cozumel, Mexico. I love the car card. So creative...and how it opens. Thanks for sharing and the give away. My favorite gift was....of course my CRICUT expression. First thing I thought of when I saw your invite was "Party Bus". We love those!! How cute! What an imagination! TFS and inspiring!! thanks for the chance to win some awesome blog candy. Fun blog hop!! Happy birthday MOMO!! Love the car invite and the picture! Thank you for sharing! My favorite gift was a necklace given to me by my father on my sixteenth birthday many years ago. What cute idea! Great birthday hop. Thanks for the chance to win a great give away. My favorite birthday gift was my Cricut!!!! My favorite birthday gift was ice skates. Amazing! Great job. Looking forward to more projects! Great birthday invitation! I like the balloons. Lets see best birthday gift, Michaels and hobby lobby gift cards! My favorite birthay gift was my Pink Nintendo DS. Cute invitation :) LOVE the Bug, LOL! I think every birthday is my favorite :) Really, it was yesterday and my four year old gave me her favorite stuffed animal all wrapped up in a pretty gift bag! How sweet is that? My favorite birthday gift was my cabbage patch doll that I got when I was 5. I still have her to this day. I used to dress her up and I even had my preschool picture taken with her. My eyes lit up when I saw this card. Would love to get an invite like this. Thanks for the inspiration and a chance to win! My favorite birthday present was a trip to visit old friends from college. It was a surprise and one of the most fun weekends ever. Such great memories. my favorite bday gift was when my 12 yr old twins were in preschool they went to school and told the teacher they wanted to make me something for my bday and when i picked them up they gave my a construction paper with their hand and foot prints on them...The Best bday gift i could ever get!!! Hehe.. love the car card and the pic of you and your sister. Too fun. :) My favorite gift was the Pooh bear my husband made me when we were dating all on his own. It still has a place of honor in the house. My fav. gift of all time was a wonder woman big wheel when I was 5. It was the coolest thing ever! Wish I could find them for my kids. When I was 16, I asked all my friends to give me flowers for my b-day. It as awesome. I got so many and I felt like a queen for a day. The car invite is a clever idea. I will have to get that cart and use it someday. My favorite birthday gift (that I can remember) had to be my diamond necklace from my hubby. We had just started dating and he worked a 2nd job to get it in time for my birthday!